Shane McDaniel gives away free firewood to families in need, allowing them to save on heating costs. It’s been a brutally cold winter across much of the U.S., and for some, the increased heating costs have been a financial burden. One Washington small business owner found a way to help needy families cut their expenses and stay warm this winter. 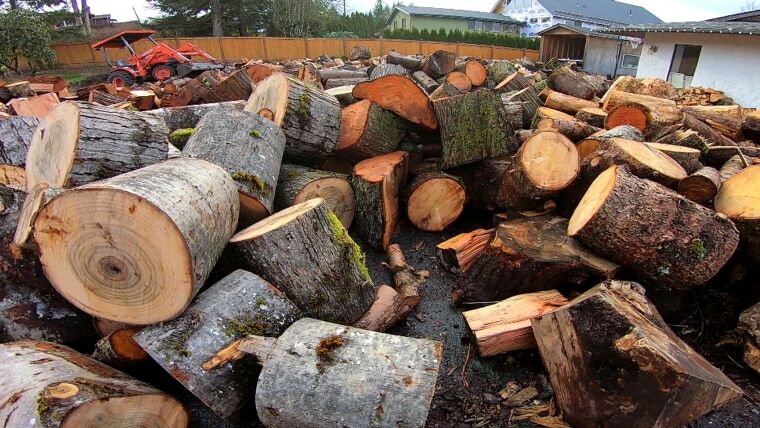 Shane McDaniel started collecting firewood last summer when heavy storms felled trees around his Lake Stevens home. Enlisting the help of his sons, McDaniel’s house was quickly surrounded by more than 40 cords of firewood with nowhere for it to go — until he had an idea. McDaniel, his sons and a few of their friends hit the road, delivering firewood to families who otherwise wouldn’t be able to afford to heat their homes this winter. For those who have received McDaniel’s wood, the gesture has been life-changing. A study in the American Journal of Public Health found that low-income families are forced to spend less on food during the colder months, as more of their budget goes toward heating costs. When McDaniel’s stash began to dwindle, friends and strangers started dropping off more wood. Now, the McDaniel family is already drying and stacking wood to deliver next winter.